Reynolds, Jason & Brendan Kiely. All American Boys. 320p. ebook available. Simon & Schuster. September 29, 2015. $17.99hb. ISBN 9781481463331. Ages 12 and Up. Artistically inclined Rashad Butler preferred sketching and painting over ROTC, but to please his father he played the role of the dutiful son and joined. According to Rashad’s father, the opportunity to serve in the military was a huge factor in waylaying the prejudgement-factor currently aimed at young black American and Latino boys. Scared of how society has been recently reacting to teen boys, Mr. Butler was adamant about how he wanted his son to present himself in public: no slang, so slouched walk, no hoodie on your head, and no sagging pants. When Rashad ended up being the victim of assault by the off-duty-cop recently hired for security at Jerry’s neighborhood store, his father’s worse nightmares came true. The officer in question reacted to the store clerk’s scream that Rashad was robbing and attacking another customer, dragged Rashad from the store, and preceded to pound his face into the sidewalk. Unbeknown to the officer, the assault was witnessed by Quinn, a young boy he had been mentoring for years and who held him in the highest levels of esteem. Unbeknown to Quinn, the off-duty cop, and Rashad, several observers recorded the entire incident and posted it to the Internet, causing the videos to go viral. Told in the alternating voices of Quinn and Rashad, Reynolds and Kiely are able to deftly handle the aftermath of confusion, fear, and anger which split the community in half. A large amount of viewpoints are presented among those living in each of the narrators’ world. Readers are allowed to experience on how issues of race, privilege, media manipulation, and policing are viewed from the point of view of the adults and youth who are involved. This timely and powerful narrative takes its cues straight out of our most recent and controversial headlines. Loaded with abundant opportunities for readers to apply critical thinking in discussions surrounding the social justice issues raised, this is a must have for library collections. Educators who have considered books such as James Preller’s Bystander (Feiwel & Friends, 2009) which has been an added curriculum choice due to the issues of bullying, will be inclined to feel the same way about Reynolds and Kiely’s All American Boys (Simon & Schuster, 2015) due to the issues of social justice. 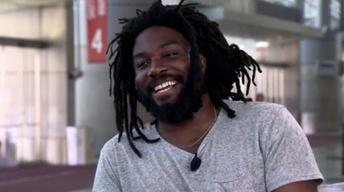 Jason Reynolds aligns his job as an author to a builder of houses. Some houses are built from scratch while others need structured adjustment. The exterior of the house is the image the world has of most black American youth, while the structured adjustments deal with mending the neglected walls and ceiling of the interior. This constructionist vision has led to him being this year’s recipient of the Coretta Scott King John Steptoe New Talent Award for young emerging authors. His commitment to the portrayal of black men and young black boys in a more positive and enduring light affords the readers of his narratives a more authentic view of black American family dynamics, void of the stereotypical media display. 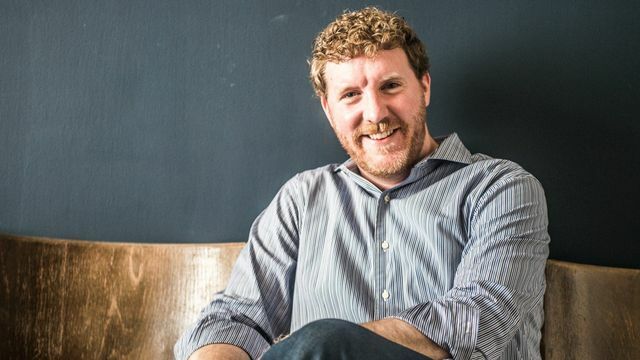 Jason is the author of three novels and has co-authored both his recent publication, All American Boys, and an autobiography with his college roommate. Jason lives in Brooklyn and will be visiting Miss Marie’s Library December 11, 2015. Visit Jason’s website for a deeper look at this wonderfully talented rising star. Brendan Kiely’s debute title, The Gospel of Winter (McElderry, 2014) has been translated into eight languages and shows debuts his skill at handling hard subject matter. In The Gospel of Winter, Brendan tackles the headline news issues of child abuse between young boys a popular priest. This book has won him wide appeal. All American Boys, wihich deals with youth and police brutality is masterfully handled in the same way…with depth of knowledge, the ability to communicate hard issues, and I’m sure…a lot of research. Brendan used to live in Boston, and is now a resident of Greenwich Village. More about Brendan can be found in his website.